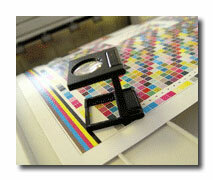 The proofing process is an important step in ensuring your projects are printed properly. One tiny error or omission can jeopardize an entire project. We do not go to press until you have signed off on and are 100% satisfied with the pre-press proofs. Because our pre-press work flow is strictly "direct to plate", the color contract proofs are output on the Epson Stylus 9800 and 7600 series inkjet printers using Epson Ultrachrome inks for vibrant and accurate color. The Epson proofs have been color calibrated to match the final product on press. We also offer Online PDF Proofing for customers who do not require a hard copy contract proof and allowing for faster delivery.